Welcome to The Lawn Works! 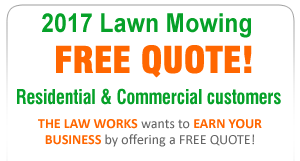 An Oconomowoc, Wisconsin company, The Lawn Works offers a unique approach to lawn care maintenance; as a full service lawn care company serving Southeastern Wisconsin, we have established the ability to customize lawn service that will cater to your yard’s specific needs. 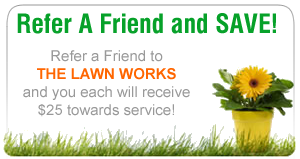 Offering both Residential Lawn Care and Commercial Lawn Care, we specialize in creating not only beautiful but healthy lawns. 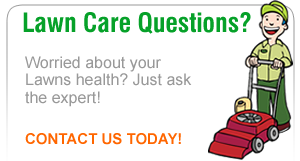 Lawn care, lawn mowing and maintenance services, and snow removal services are just a few lawn care services that we offer to Oconomowoc and its surrounding areas. Locally Owned and Operated we are conveniently positioned to service all of Southeastern Wisconsin including Oconomowoc, Hartland, Delafield, Pewaukee, Lake Country, Merton and more! © 2016 The Lawn Works. All rights reserved.